A regular oil change service for your Mazda can go a long way in maintaining its performance through the cold winters in Burlington, Washington. The certified service center at Dwayne Lane's Skagit Mazda is the place to go for routine oil changes. This service keeps your engine well-lubricated and it can impact both fuel efficiency and wear and tear on a number of car parts. It is recommended that you get an oil change every few months, or about every 3,000 miles in order to keep your sleek Mazda vehicle operating as powerfully as possible. Call now to make an appointment at Dwayne Lane's Skagit Mazda today! The benefits of taking your Mazda car or SUV to a certified service center like the one at Dwayne Lane's Skagit Mazda range from maintaining your warranty to high-quality work. You won't have to worry whether your car's factory warranty remains intact if you visit our service center in Burlington, WA because we're certified by the manufacturer to take care of routine maintenance and repairs for your Mazda vehicle. 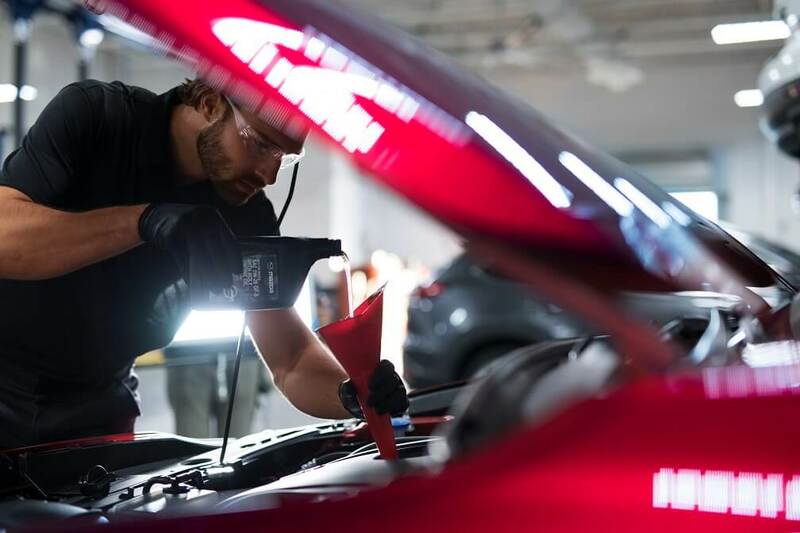 Our factory-trained technicians are the most important piece of the puzzle as their years of experience working on countless models and years of Mazda cars ensure your vehicle is in the best hands. For a job well-done, come to our auto service center at Dwayne Lane's Skagit Mazda. While an oil change is a basic auto service, our mechanics are capable of far more. We can also help you with issues like transmission repairs or bodywork due to damage from weather or collisions. If you want to tackle repairs on your own or are looking for replacement parts, visit our parts department for certified OEM components and accessories. Call or visit Dwayne Lane's Skagit Mazda to schedule auto service in Burlington, WA today!